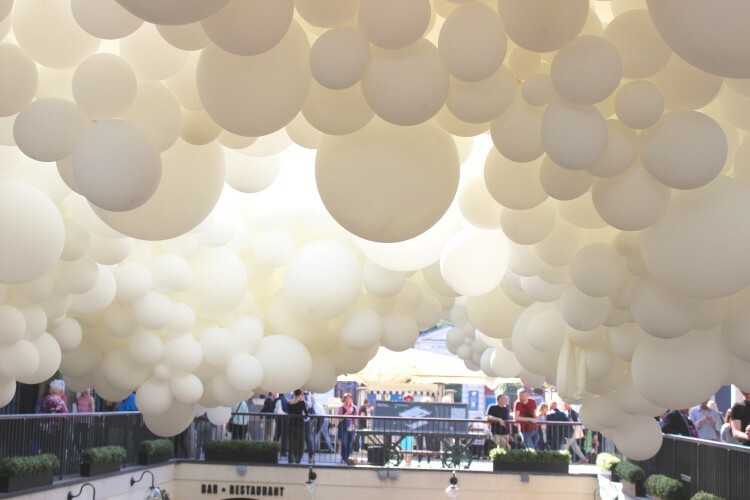 What does a 100,000 balloon sculpture look like? I had heard so much about it and seen a gazillion photos of it over instagram that I needed to experience it for myself. Not knowing what to expect because quite often photos can makes things seem something they are not. Either they do not do something justice or they seem to make something appear a whole lot better than it is. I was more than pleasantly surprised. 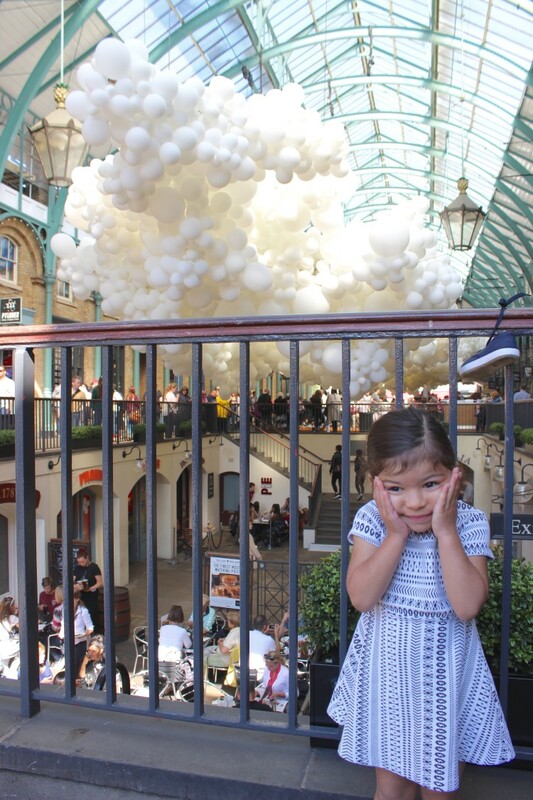 As we approached the centre of the market building, peeking through the walkway was the 100,000 balloons, I was amazed at how much lower they hung. Something the photos didn't give away. I loved that. 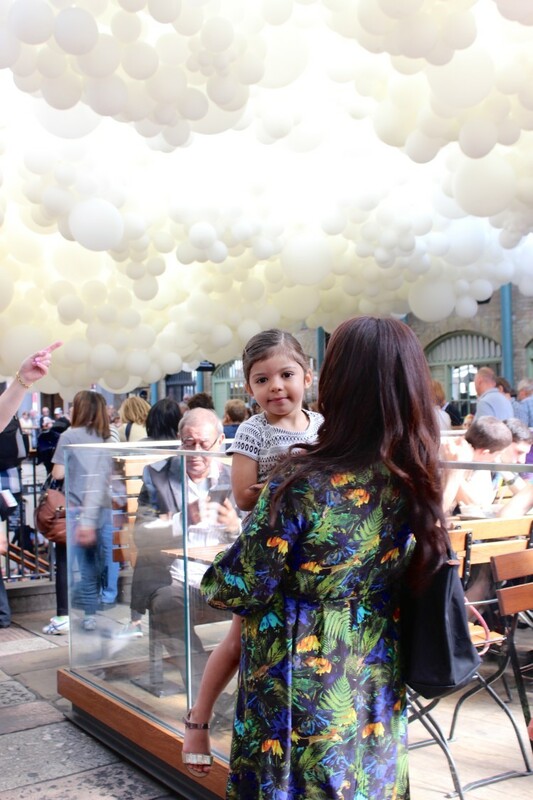 There are crowds of people, most with cameras enthusiastically snapping away and those just taking a moment to take in the magnificent balloon sculpture.. Although I say crowds of people there wasn't too many to enjoy the experience and there were still plenty of opportunities to grab a moment to take some photos without people walking past. After a long mooch and slow stroll around the sculpture we enjoyed the most delectable, extravagant, scrumptious ice cream from Venchi's whilst stood and enjoyed the view. Venchi's ice-cream is a reason to visit Covent Garden in itself. In my opinion they make the best ice cream in London H A N D S D O W N! Gosh London, isn't it a pleasure to be home to Charles Petillons first UK instillation. Wouldn't it be nice if he continued with a series of London Commissions?